After shaving the back of her head live on stage Gaga got this cherub design inked straight on! 25. 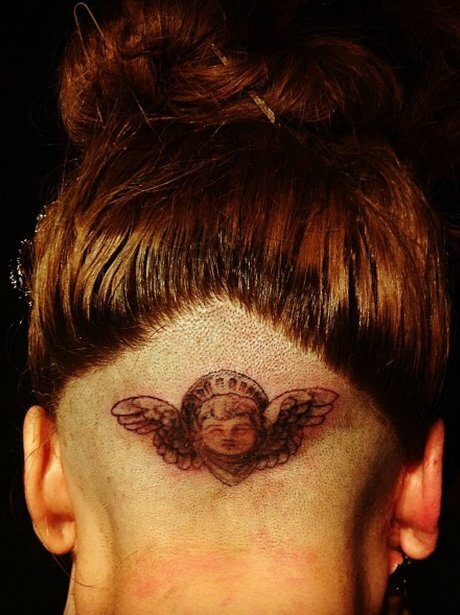 After shaving the back of her head live on stage Gaga got this cherub design inked straight on!